Good communication with teammates allows to achieve better team results, and good quality sound gives an advantage and makes it possible to quickly react to the opponent’s next move. All this can be yours with Fury headsets. 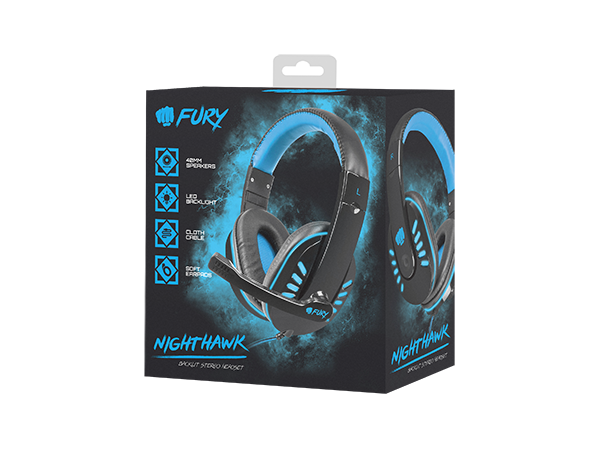 The Nighthawk gaming headsets provide good quality sound, functionality and comfort. This combination can help any gamer to achieve their goals. 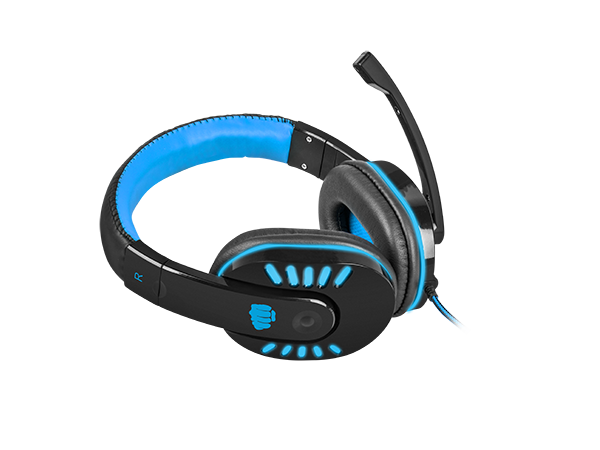 Thanks to the LED backlight option, the headset gains a true gaming character and allows the gamer to stand out among others. 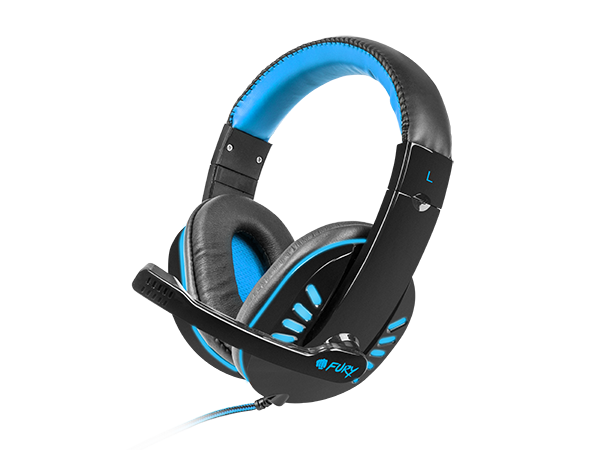 Fury headsets guarantee optimal comfort of gameplay thanks to their soft and large earphone pads, covered with faux leather and an adjustable microphone position. Thanks to good quality, dynamic 40 mm stereo speakers (105 dB dynamic range, 32 Ohm impedance), you can gain the upper hand on the battlefield and be the first to hear your opponent. 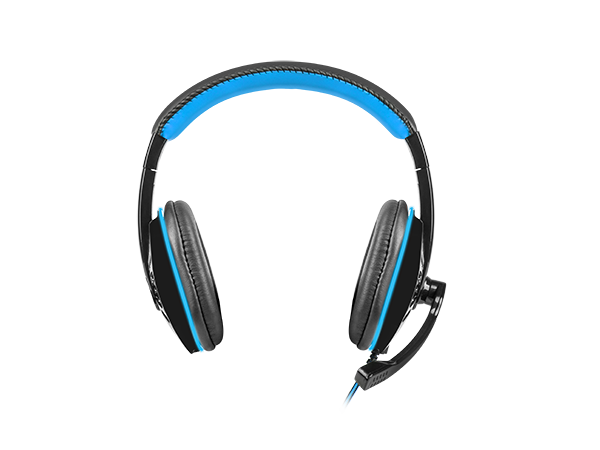 The 2-meter long, nylon braided cable is durable and ensures movement comfort during gameplay. While the remote control located on the cable allows to adjust volume and turn the microphone on/off. Whether you’re playing an FPS or an MMO, it is important to have uninterrupted transmission and receipt of sound.